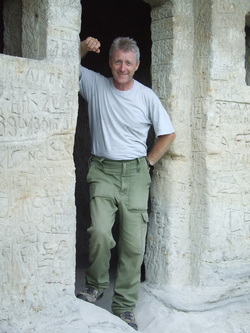 The tours will be led by Colin Penny, a naturalist from Norfolk, England, who moved to Hungary in 2004. Since moving to Hungary, it's 'business as usual' for Colin, as he keeps records of the species seen, and works with the local nature authorities in an effort to protect local sites that host special species. The big difference is that, instead of working at a single site, such as his beloved Buxton Heath, he now visits many different sites, and often the wider countryside with no tangible boundaries. Colin has been keeping species records of Hungarian wildlife, plus notes on various habitats since 2002, when he first visited the country. These records now form a valuable bank of knowledge that are put to good use for Mátra Wildlife Tours. 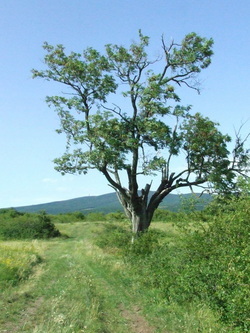 But as Colin says: "Hungary is so rich in wonderful habitats that I'm finding new, interesting sites all the time". Colin had always been interested in natural history, and in 1990, tried his hand at practical conservation work for the first time. He spent two years at the Ted Ellis Nature Reserve at Wheatfen, Surlingham in Norfolk, working in a voluntary capacity in his spare time. During that period, he also led the Sunday conservation group, Norwich Environmental Weekenders (NEWS), on practical conservation tasks at several sites across Norfolk. During 1991 he 'discovered' Buxton Heath at Hevingham, and paid regular solo visits to the site to record its wildlife and to brandish a bowsaw and loppers to keep the invasive scrub in check. A few months later, he'd persuaded a few conservation-minded friends to join him in setting up a group to care for, and study, the species and habitats of Buxton Heath on a regular basis. As a result of this, Buxton Heath Wildlife Group was formed on 16th May 1992, with an exciting inaugural task, namely, filling a large skip with rubbish from the site ! Now, some 22 years after the formation of BHWG, Colin's friends are ensuring that the Group keeps running, and that the site enjoys the same level of care and protection.